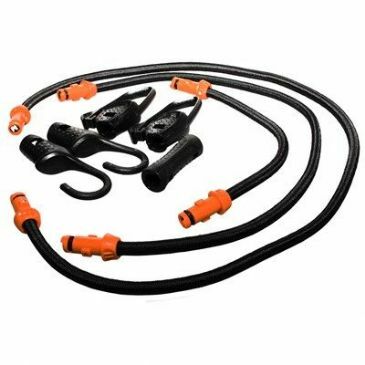 At Grasshopper Leisure, you can find bike carries for carry-bike garage, Fiamma carry-bike garage, Fiamma carry-bike garage slide pro bike, Fiamma carry-bike garage standard, Fiamma carry-bike moto Fiamma carry-bike pro. 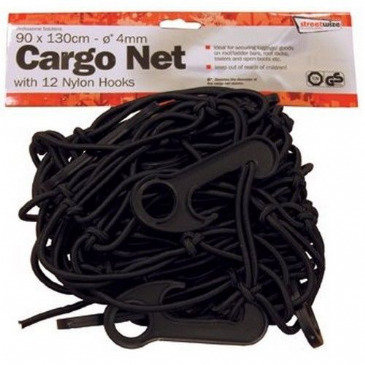 We provide a wide range of bike carriers, bike carriers accessories, bike carriers for campervans, bike carriers for caravans, bike carries for cars, bike carries for motorhomes, carry-bike garage for your campervan, caravan, motorhomes and cars. The Fiamma Cargo Accessory Kit is composed of 4 supplementary hooks and 2 rubber bands. To be used with the Fiamma Cargo Strap. 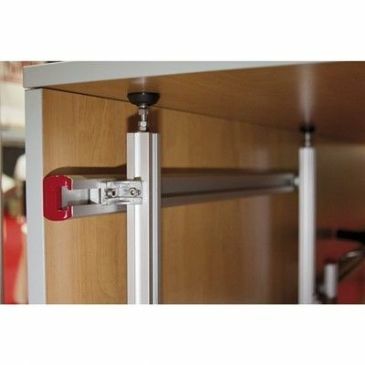 Strong fixing system to strap everyday items such as small tables, chairs, spare wheel and water containers etc. against the wall of the motorhome garage facility. 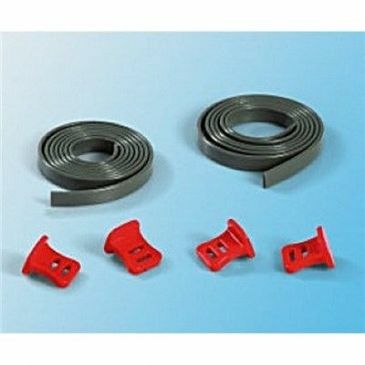 Simply mount the strong ABS wall tracks with the proper screw (standard delivered), set the related hooks and position the rubber bands in order to tension them according to the objects you have to fix. 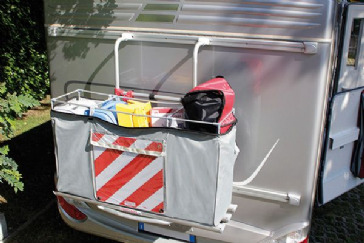 Fiamma Carry-Bike Plus Garage Bicycle Carrier is designed to transport up to four bicycles in your motorhome's garage, safely securing your bicycles while travelling. With brackets to fasten the carrier to the floor of the vehicle, it has an easy-to-fold lower section, giving you more storage space when the carrier is not required. 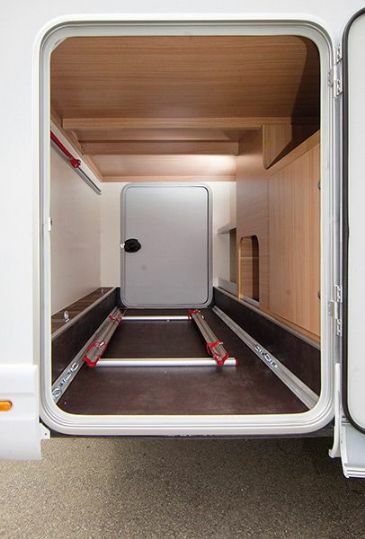 With a wider loading surface than previous version, the Fiamma Carry-Bike Garage Slide Pro Bicycle Carrier has a multi-use sliding system that you can install into the garage or storage compartment area of your motorhome. 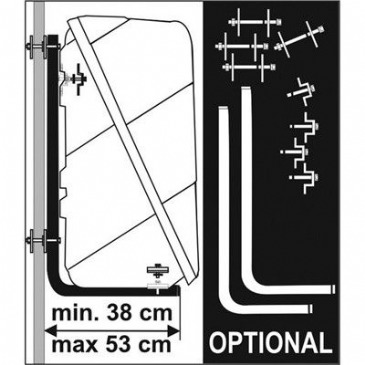 The Fiamma Carry-Bike Garage Standard comes standard to carry two bikes which can be upgraded to carry three (please select option upon ordering). The Fiamma Carry-Moto is an ideal way to carry your motorcycle or scooter in your motorhome's garage. 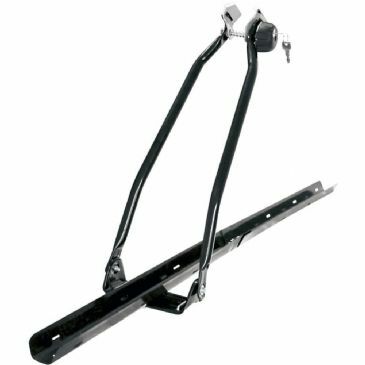 The 202cm rail is supplied with two sturdy straps to fix your motorcycle in place while travelling, and the 180cm chute easily slides in to connect with the rail for easy loading and unloading. 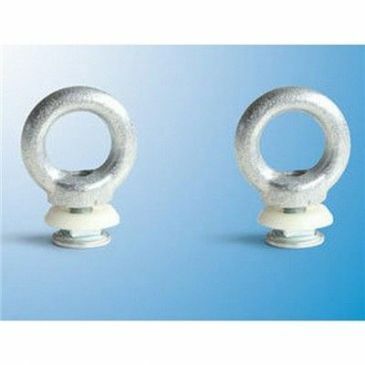 Made of sturdy galvanised aluminium, it can carry up to 200kg. The Fiamma Carry-Moto Pro is an ideal way to carry your motorcycle or scooter in your motorhome's garage. The fixed rail is adjustable in height from 8 to 11cm, and the chute easily slides underneath the fixed rail, making it easy to load up your bike, slide the chute up and go! Made of sturdy galvanised aluminium, it can carry up to 200kg and comes with two strong fixing straps. 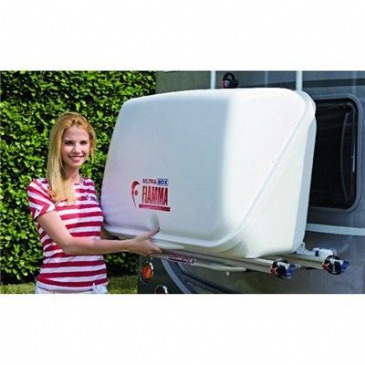 The Fiamma Carry Ramp (previously called Carry-Moto S) is the new motorbike-carrier for all motorhomes with garage facility. 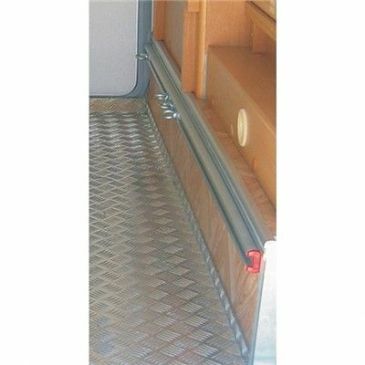 Consists of a ramp in galvanized aluminium that can be installed on the door of your motorhome or on the floor of the garage facility. 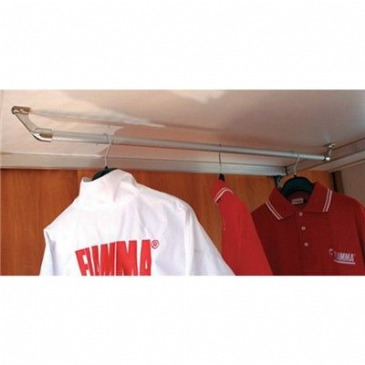 The Fiamma Garage Carry-Rail is the ideal clothes hanger for use inside the garage or the storage area of the motorhome. Made up of a sturdy and light tubular rail in anodized aluminium and fixed via 2 sturdy ceiling supports with counterplates that provide the Carry-Rail with firm roots. 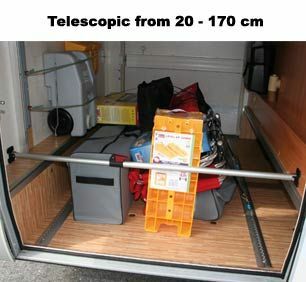 GARAGE PACK Multi-purpose kit to quickly and economically arrange the garage of your motorhome. Simple and flexible modular system. 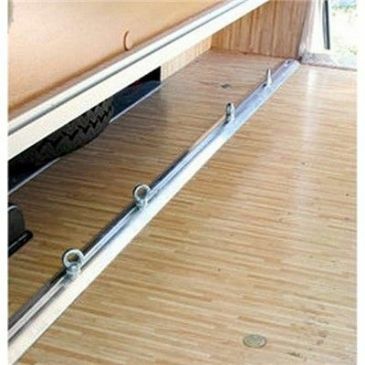 To quickly and economically arrange the garage of your motorhome. 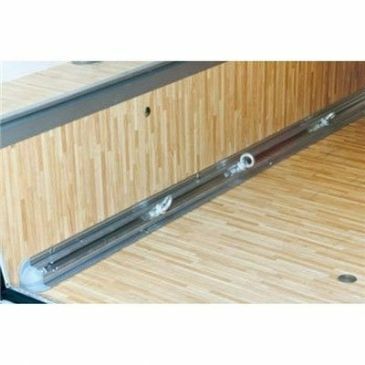 GARAGE PACK PLUS Multi-purpose kit complete with fixing structure for bikes and various accessories to arrange the garage facility in the best way. 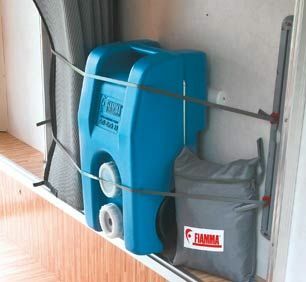 The Fiamma Garage Standard version is a single shelf for the garage of your camper, with the Fiamma Kit Upgrade you can enlarge it adding more shelves, ideal for the garage of much larger motorhomes. Kit composed of 2 quick-action connecting hooks with retaining ring. For Garage-Bars Premium and Garage-Bars Corner. 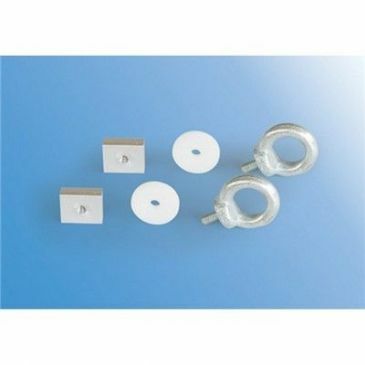 Fiamma Kit Eye, for use with Fiamma Garage Bars and some other makes of motorhome garage bars. The Kit Eye is an extra set of sliding hooks that can be fitted into the garage bars offering more fixing points for storage solutions. Sold as pair. The Fiamma LED Garage Light is perfect for installation in the motorhome garage facility or caravan storage compartment. Robust construction using solid painted aluminium. 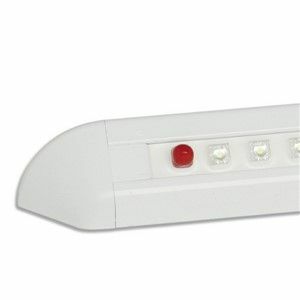 It includes 31 LED lamps with intense white light. 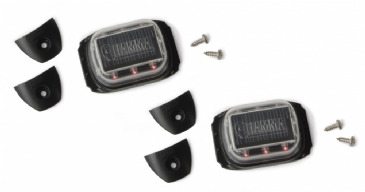 These Fiamma LED Solar Warning Lights are an innovative kit of two signal intermittent lights. They should be positioned around the motorhome or caravan to signal a dangerous area. Each light features a solar panel that recharges the internal batteries during the day. It fits to the Fiamma Tie Down Straps. New Fiamma LED Step lighting system with low consumption. 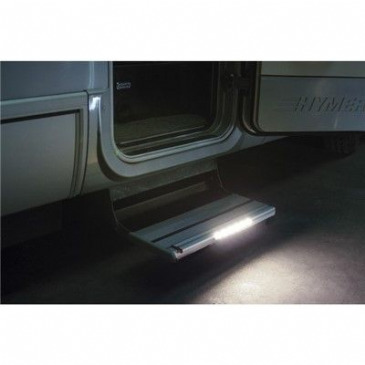 Perfect for the entrance of the motorhome or caravan, to increase security and safety when using the steps late at night. 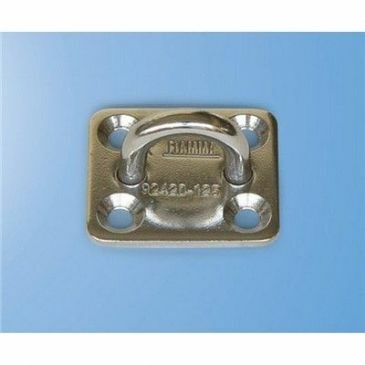 Made of sturdy anodized aluminium 50 cm wide, but can be shortened to 23 cm. 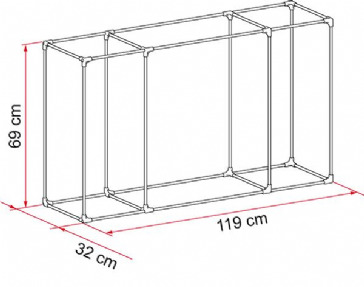 Also suitable for garage facilities and storage compartments.